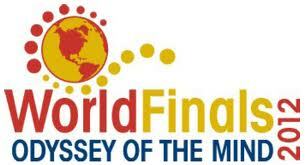 The Zephyrhills High School “Odyssey of the Mind” team is heading to the 2012 World Finals for the first time in 22 years. The team received the highest honor at the Florida State competition. The Ranatra Fusca Creativity award was presented to only 8 teams. If you don’t know about Odyssey of the Mind you can “Google it” according to Gail Fisher. The team needs to raise about ten thousand dollars quickly and has several events scheduled. A couple of car washes and 2 golf tournaments. They are asking the community to help if possible. If you would like to help the team make this once in a lifetime trip to the finals in Iowa please send a check to Zephyrhills High School, ATTN: Bookkeeper, 6335 12th Street, Zephyrhills, FL 33542 and please put “Odyssey” in the memo area. Let’s get these awesome kids to this event.